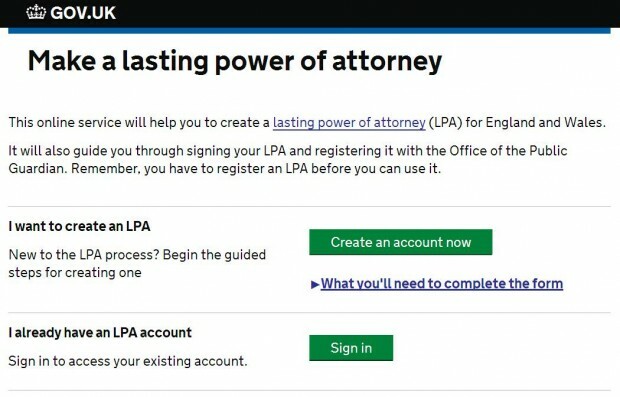 We’ve noticed over the last few months that more people are choosing to make a Lasting Power of Attorney (LPA) online. The number of users of our online LPA service has been growing steadily since we went live in May 2014 (we were the very first government exemplar to pass the Digital by Default service standard). We’re really pleased about this because the service is only getting better because of feedback from the people that use it. removed the need to add signature dates to complete the registration documents, allowing solicitors to generate all of the forms together so their clients can sign the forms in one appointment. We still provide a date checker so users can check the forms have been signed in the correct order, and allow users to download the forms again if they have not been signed in the correct order. Don’t forget, when you are making an LPA online you can stop at any time and save the information you've entered if you need to think about a decision or discuss the LPA with someone. Just sign back into the system when you're ready to continue. We’re always working to improve the LPA service based on the feedback we receive, and last month updated the system to fully reflect the changes to LPA forms that were introduced in July 2015. We’re now working on improving the way the site works on mobile devices and tablets, and investigating ways to improve the way users review information before they print the forms. We’ll tell you more about that in a future blog post. If you’re thinking about making an LPA we encourage you to try using our online service and to please let us know if you’ve any suggestions or ideas for what else we can do to make it even better. No information that i have digitally entered online is showing on the printed version. Is this a problem with your web site? I think it may be best that all information entered digitally is shown on the printed version. At present this isn't happening. Sorry to hear you're having problems with our digital site. Could you email the feedback address (bottom of the page here https://www.lastingpowerofattorney.service.gov.uk/home ) with details of the issue.